All along my journey in Western Cape, I see antelopes, goats, many birds, flamingos, monkeys (baboons), ostrich, white sharks, penguins, seals, etc. 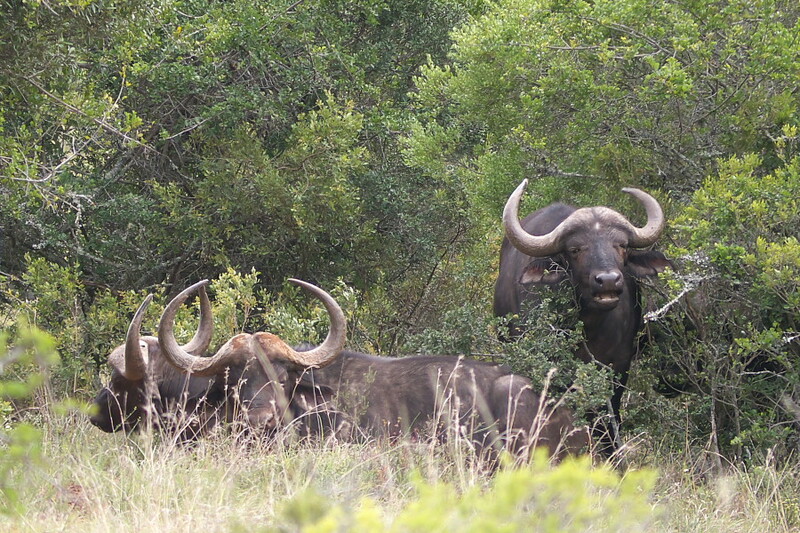 National Parks and private game reserves offer much more to see in a concentrate time and location. In the big national parks, you can usually drive your own vehicle (bicycle and motorbike excluded). Using the services of a local ranger will increase the chance of spotting animals since they better know the park. 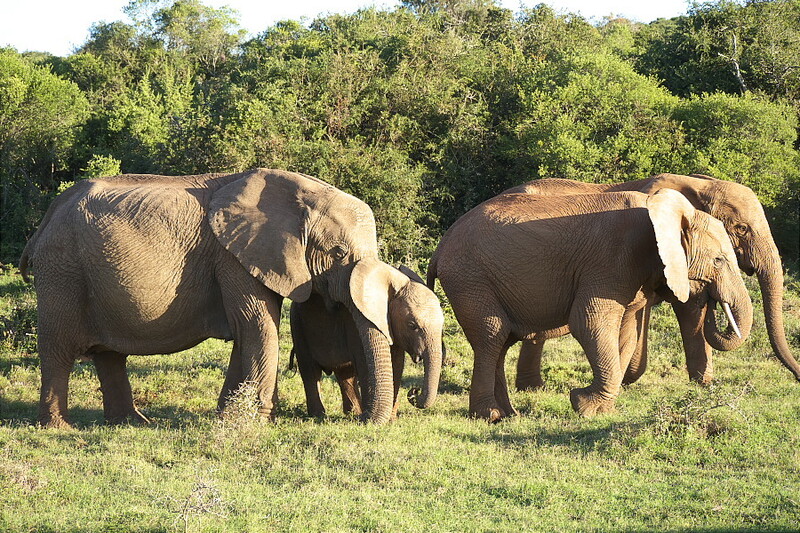 The parks itself offer game drives (safari) you can book. Or you can use a tour organized by your guest house. We don’t see any of the 48 rhinos and or any of the 9 lions, even if we are looking for them for one hour with the indications of other rangers. Addo is so huge (1640 km2). 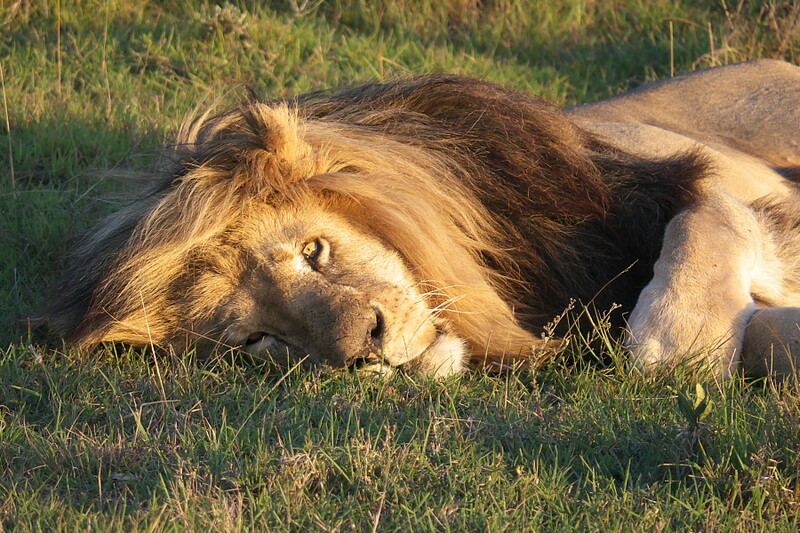 Kruger is the more famous place to spot them but again 12 times bigger (with 2800 lions)! A smaller private park is the other alternative. The Schotia private game reserve, close to Addo, is managed by the friendly Peter and Jenny with up to 10 rangers including the son Justin. This reserve is only about 10% the size of Addo but hosts 6 lions and 2 rhino that we manage to spot first with our ranger Edward, along with many other animals: elephants, impalas, gnus, giraffe, zebra, hippo, reed buck, eland, lions, and even the brown hyena during the night drive. Schotia is definitive a nice place to spot animals, between a zoo and the giant national parks. Every animals are independent, none of the big one get feed. And the owner Peter, Jenny and their son Justin are very friendly! They all have mountain bikes, and instead of the sunrise drive, we all cycle together in the park, along the antelopes, elephants and rhino! 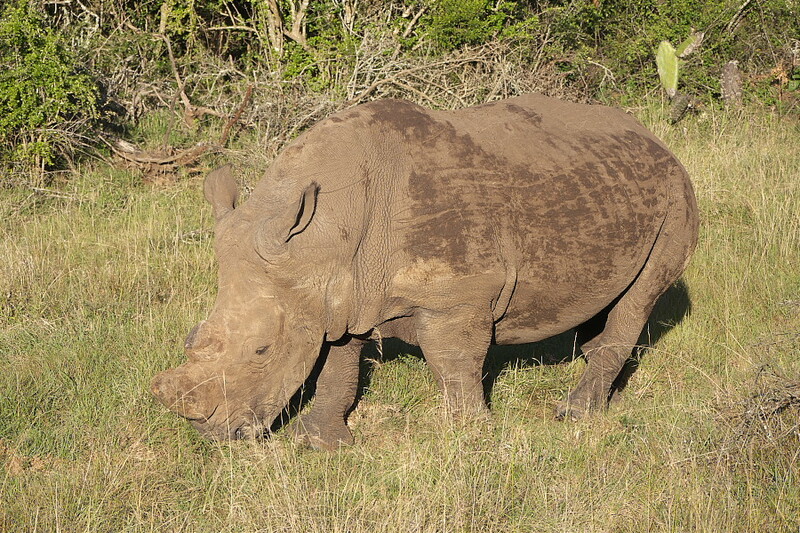 An amazing experience to be chased by the rhinos! Mission réussie pour ton blog, il donne vraiment envie de voyager! J’attends de voir les coins que tu as préféré à Mada pour m’en inspirer.